The Legacy Continues…Nicholas Guild is Back! I’ve been away from my computer for several days. I needed time to think about my writing path, plus a long list of unattended activities demanded attention. Sometimes a writer needs a break in the form of physical work. It helps clear your head and allows you to refocus on your overall efforts. On March 4th I wrote the article Missing in Action, Part 1: Author Nicholas Guild, “The Assyrian”. He’s the one author I’ve always considered the finest example of a true historical fiction writer. I wrote the article and never anticipated Nicholas Guild would read it. After all, here was an esteemed author who left the literary world with awards, accolades, and multiple published books that have been translated into several languages. Guild has never heard of me and I seriously doubt if he’s even seen my works or my website. But today, as I returned home after finishing a number of tasks, for some reason I began to think of Mr. Guild and my article about him. I thought of how my break of several days away from writing had let me realize the urge, the desire to create, still remained and was as strong as ever. It was all passing thoughts, the kind you have when you’re tired, sweaty, and need a good shower. Yes, maybe Nicholas Guild just needed a break himself, only he was taking a much longer one than me. Now, true story: After I showered, poured a cup of hot, fresh coffee and grabbed a cup full of my grandson’s favorite Honey Graham ‘Teddy’ Crackers to munch on (you know, those little bear snacks you can’t stop eating), I sat at my computer to check my website for comments awaiting approval. With the graham cracker container sitting next to my coffee cup, and my left hand steadily reaching in to get a cracker while I’m reading the monitor and my right hand is feverishly working the mouse, I suddenly realized I was reading a comment from Nicholas Guild—‘the’ Nicholas Guild—and that was when I reached deep into my hot cup of coffee instead of the cracker cup. With coffee flying everywhere, me flailing my hand through the air and yelling things I was glad my grandson wasn’t around to hear, I jumped out of my chair. I couldn’t believe it. First, that I had done such a stupid act, and second, that Guild had actually responded to my blog. May 26 2012 Nicholas Guild I just read your highly flattering blog. Thank you for the kind words. I thought I’d let you know that I’m back in front of my word processor and I have a new book out in ebook form, “The Moonlight,” which is a sort of ghost story. I’m now working on another historical, set in 4th Century B.C. Greece. May 31 2012 Glenn Mr. Guild, very few things surprise me anymore but seeing comments from you truly did! Your return to writing is great news and I look forward to reading more of your work. I wish you the best in all of your endeavors. After clicking the reply button, I sat waiting for a comment to appear as if he were on the other end ready to respond immediately. What can I say? I think he is an excellent author and I was extremely happy to have received his comments to my article. 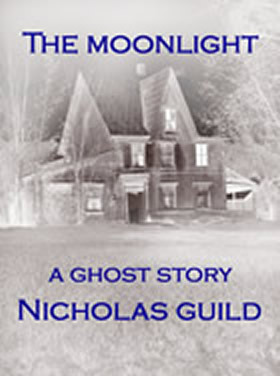 Nicholas Guild has his first ebook “The Moonlight” now out – and it’s his first try at horror. In addition to that, he is working on another historical—the first in many years. I went to his website, downloaded a sample of “The Moonlight” and intend to read it tomorrow. Nicholas Guild is returning to his writings, life is good, and my burned fingers will eventually heal…. There are a lot of lessons to be learned in this, aside from keeping crackers and coffee apart from one another while you read. We’re all human, with shortcomings, personal faults, and problems that stir our souls. Guild was at the top of his game when he chose to take a break for whatever reasons. But he returned to writing because it’s simply in his blood to create. He may have left for a while to go teach, yet he returned. I returned to my writings after ten years away. You can’t fight what you truly are any more than a leopard can change its spots. 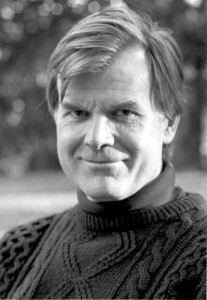 Nicholas Guild was born to be an author. There is no denying that fact after you read one of his novels. Good luck, Mr. Guild. Someday I hope you will read one of my novels with equal pleasure as I’ve read yours. And feel free to write me any time you wish. Thanks to you, we’ve heard from Mr. Guild, finally, and am so ecstatic! 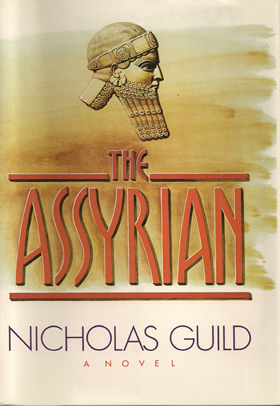 Back in 2006, after I finished reading “The Assyrian”, I did an entry in Friendster and titled it “The Quest”… I was looking for a copy of The Blood Star and I could not believe it cost so much on e-bay! I finally was able to borrow a copy from Cordova Library in Memphis, TN. It was definitely a great read. I’d like to recommend Gary Jennings as a wonderful and credible historical writer. Aztec was great, as well as The Journeyer. You may solely enjoy books in print, but give consideration to an eBook reader. A large number of great, past works are being re-released in eBook formats from many authors. 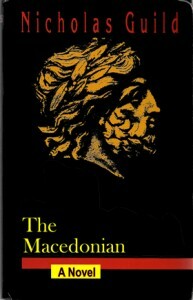 Have you read “The Macedonian” by Mr. Guild? It is quite good too….. I recently read his ‘first’ ghost story — “The Moonlight” — and enjoyed it. I do know he presently has a major project in progress that hopefully we will be hearing more about in the coming year. I know I’m anxiously awaiting its debut. I’m gonna check out your books as well…. I really enjoyed reading this article. I like the way your words draw me into your writings, whether reading a fiction book or sharing an episode from your life. Nicholas Guild getting in touch with you was comparable to Terri Blackstock and Deborah Bedford responding to letters/e-mails I sent a few years ago. I’ve never forgotten! A very touching blog, Glen. Glad I stopped to read it. It never ceases to amaze me-how this old world works in getting us together and seeing to our dreams, but it does. And the openness with which you shared that wondrous moment let me have a moment myself. Thank you. Thank you, Christina. I appreciate your comments. Next PostNext T.G.I.A. — Working the Streets….